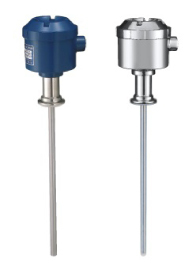 This level meter is designed for the level of hygiene required in the production processes of foods, pharmaceuticals, and cosmetics. Ideal for food and pharmaceutical processes (It can also be used for other many purposes). Continuous indication of liquid level in a tank. Drinking water, distilled water, hot water, cold water, dairy products, edible oils, chocolate, chemical solutions, alcohol, and oil-water interfaces. It can also measure interfaces, in addition to continuous measurement of liquid levels.